Smart speakers may provide access to a wealth of information, but music still is at the heart of the connected home devices. It turns out that consumers not only use the speakers for playing music but also to learn more about it. The most frequent smart speaker activity is listening to music, by pretty much every measure, as I wrote about here yesterday (Streaming Music Leads Smart Speakers). However, it also is the top category for questions. 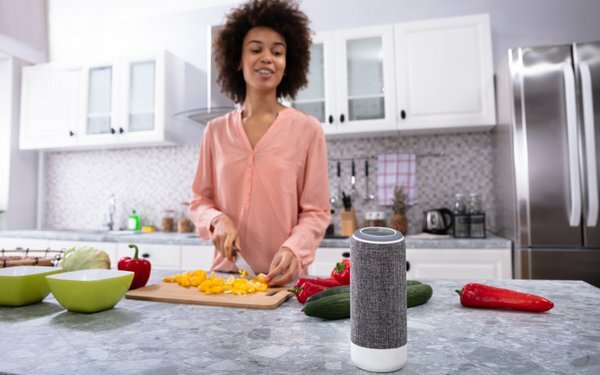 The majority (55%) of consumers use their smart speakers to ask questions about music, according to a survey of 1,000 U.S. adults representative of U.S. Census demographics conducted by Voicebot. Smart speaker owners ask about plenty of other things as well, but not as often as they ask about music. More than a third (36%) ask questions relating to news, 35% for movies, 28% for how to instructions, 26% about history, 25% about products, 23% for restaurants and 23% for sports. The categories that receive the fewest queries are fashion (3%), finance, banking or investing (4%), professional or work-related topics (5%) and travel (8%). Growth of smart speakers in U.S. households grew 78% in a year, according to Edison Research. That makes for many more questions heading the way of Amazon Echo and Google Home devices. Amazon Alexa and Google Assistant will be learning plenty about what’s on the minds of consumers. 1 comment about "Consumers Tap Smart Speakers For Questions About Music". PJ Lehrer from NYU, March 13, 2019 at 2:19 p.m.
What kind of questions are they asking? Are they looking for information, or do they want someone to decide for them? More and more it will be the latter.